The first question that might be asked at this point is, what exactly is a Turkish gulet. Although professionals in the yachting sector might know – individuals outside this industry and the rest of the world might not, except in parts of the European world. Having partially answered this question now, you may realize that it is a yacht type or rather more simply put – a boat type. A Turkish gulet is a handcrafted wooden vessel that was once known to be a basic sponge fishing boat. As the years, more so, the decades passed on, Turkish gulets have become their own industry. There are so many different types of gulets that one may wonder if they have brand names. This is a unique question in it that most yachts that are manufactured in the yachting world have made brands from the yachts they construct. The brands of yachts are usually known based on the quality of the construction, designs and other features that make them stand out. Isn’t that what makes a name stick in people’s minds? Hence they become a brand. Many of us will recognize a name of a yacht even if we haven’t actually seen the yachts and the models that they derive from. Just like cars. I suppose that is why they are consider brand name yachts. Turkish gulets first surfaced a few decades ago in what was once a charming little fishing town, now a major seaside city in the Aegean. 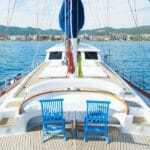 Bodrum is considered the gulet capital of Turkey’s southern coast. As we are mentioning the coastal part of Turkey, we won’t include Istanbul. Although, many brand name super yachts and motor yachts are built in Istanbul. 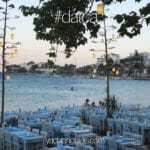 Fair enough, we could include other places of manufacturing; such as Antalya and the town of Bozburun in Marmaris. However for the purpose of our subject, Bodrum is known and recognized as the prime location and origin of Turkish gulet charters. 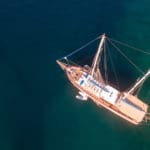 The gulet industry and the gulet tourism that goes hand in hand with the whole concept of this type of holiday travel at sea, is a unique experience. This distinguishing holiday style is called a blue cruise or blue voyage – and the make-up of this style originated in Bodrum as well, by a well known writer, Cevat Sakir Kabaagacli; alias The Fisherman of Halicarnassus. The author was exiled to Bodrum in 1925. While his time there, he went on numerous excursions with his friends, aboard sponge divers’ gulets which later became known as blue cruises. 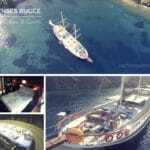 Over the years certain gulets have made a name in the gulet charter industry. The branding has been established from the top level construction, decor, design and layout. However not only from these characteristics have these particular Turkish yachts made a name in the sector. As they play an important role in true blue cruise holidays from Turkey, the services provided by the owners and crew have too brought forth the fame in the names. 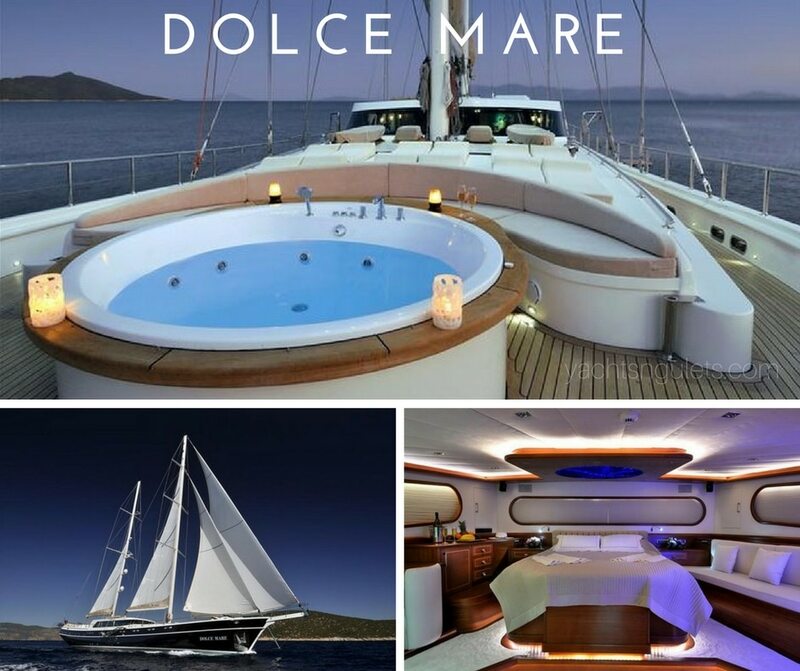 Many of the few gulets that have stood out in the yachting world have been known to be seen in major magazines, carried famous hollywood actors and actresses and also have played an outstanding role in a movie. 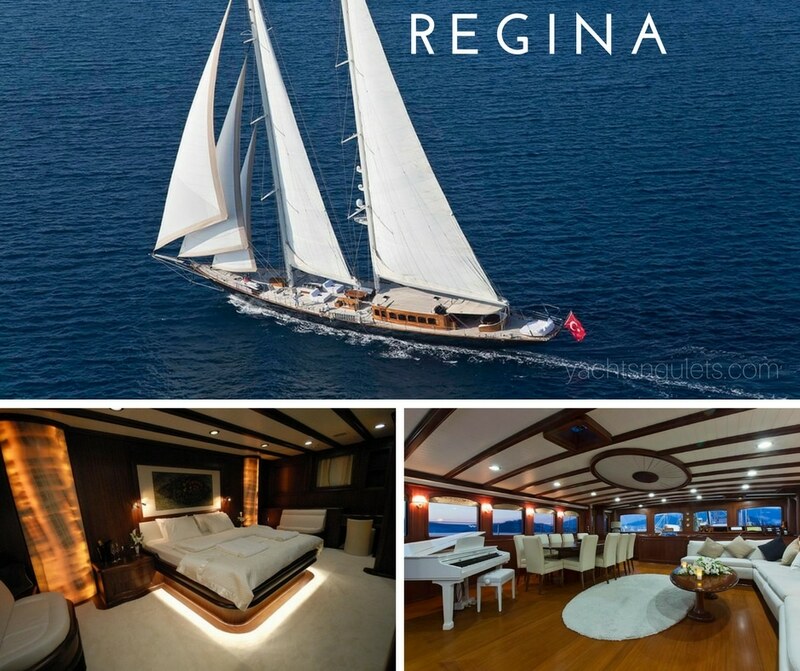 Most recently in the earlier part of 2012, the luxury sailing yacht, Regina took part in a role in the latest James Bond movie, filmed partially in Fethiye, Turkey; Skyfall – which is now in cinemas. Turkish gulets do have brand names. Not from the manufacturers but from their own names. 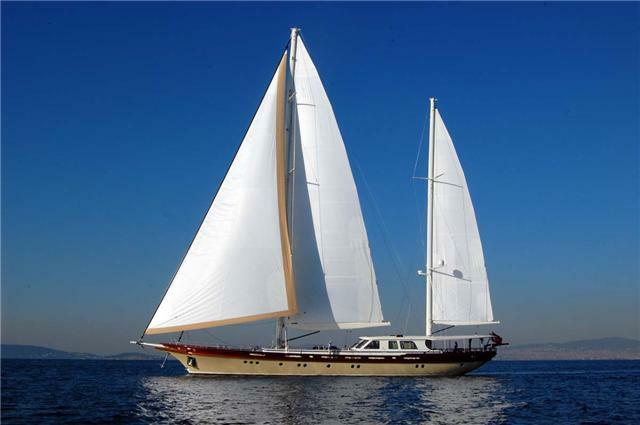 Each gulet and the name she carries is the brand that present one of the most spectacular gulet blue cruises this side of the Mediterranean and Aegean seas.